This 4-day class focuses on the purpose of each test, the equipment required to perform each test, and the methodology to correctly apply the specified test environments. This class is applicable to ANY testing done to Environmental test standards including DO-160, IEC specifications, and all other documents which provide test methodology for environmental testing. The test methods explained and taught in this class apply to environmental testing of ANY equipment whether it is intended for military/aerospace, commercial, or consumer use. Vibration and Shock methods are covered together. They overview Sine and Random Vibration, also classical waveform shock testing, drop testing and Shock Response Spectrum Testing. We include instrumentation, vibration equipment, control systems and fixture design. We discuss each climatic test individually, focusing on requirements, origination, equipment required, test methodology and understanding of results. Class members will tour a lab that daily performs the full spectrum of 810G tests. An instrumented resonant structure is excited first with slowly-sweeping sine vibration and then, much faster, with all-frequencies-simultaneous random vibration. Responses are compared. Classroom discussion is supported by projected visuals and video clips. Commencing with a review of basic vibrations, we will explore vibration measurements and analysis. We’ll compare sinusoidal vs. random vibration testing systems, specifications, standards and procedures. We will emphasize vibration and shock test fixture design, fabrication, experimental evaluation and usage. We will study shock measurement, shock response spectrum (SRS) and shock testing. Climatic testing will be looked at in great detail, emphasizing required equipment and instrumentation, correct interpretation of specifications and hints to ensure that the tests are brought to a successful conclusion. The course emphasizes topics you will use immediately. Suppliers to the military services protectively install commercial-off-the-shelf (COTS) equipment in our flight and land vehicles and in shipboard locations where vibration and shock can be severe. We laboratory test the protected equipment (1) to assure twenty years equipment survival and possible combat, also (2) to meet commercial test standards, IEC documents, military standards such as STANAG or MIL-STD-810G, DO-160, etc. Few if any engineering schools teach about such protection or such testing. Hence this specialized course. 810G is the latest revision. It has been revised roughly every 8 years since 810 was introduced in 1962. Some of the earlier revisions are occasionally cited in procurement contracts. Steve mentions all the Test Methods in the final column of this available-for-download PDF file Acrobat. He discusses commonly specified older ones. Because few of those just entering climatic testing have seen very many (if any) climatic test chambers, Steve provides numerous pictures of general purpose and special purpose chambers, such as Solar Radiation and Rain. Along with “catalog photos” of chambers, Steve shows unpublished factory in-construction via photos of chambers. When you visit a test lab or review a test program, you will understand the requirements and execution of dynamics and climatics tests. You will be able to ask meaningful questions and understand laboratory personnel responses. This course is aimed at people who need to perform, witness or specify environmental testing in accordance with MIL-STD-810. My title may be mechanical engineer, mechanical designer or packaging engineer. I design (ruggedize) products that must pass MIL-STD-810 testing. I design products to dynamic and climatic requirements, which I don't fully understand. Then I send a prototype to our lab for testing. I really don't understand what our lab does. I'd better find out. I write contracts for or specifications procuring military equipment. I need to understand the requirements of MIL-STD-810. How do I insure that potential contractors understand and will correctly implement the requirements? I need to witness and approve testing that is specified to be performed “in accordance with MIL-STD-810”. How do I know if the test equipment proposed is capable of doing the job? How do I know if the data I am given is accurate? I work in an environmental test lab. We need to perform tests “in accordance with MIL-STD-810”. How do we perform these tests? How do we interpret the requirements? What in heck is g2/Hz? I have been tasked with procuring equipment to perform tests “in accordance with MIL-STD-810”. How do I know I am specifying the right shakers, shock test machines, chambers? If you thought, "aha - that's what I'm supposed to do" to any of the job descriptions listed above, then instructor Steve Brenner says, "This course is intended for you." It will help you move up your own "learning curve." A smaller group, for whom the instructor also intends this education: supervisors of any of the above listed activities. Perhaps you were thrust into this responsibility without adequate training. Maybe your predecessor had no opportunity to alert you to potential difficulties. You certainly need to know what your people are talking about. Possibly you had no formal training for your present responsibilities. You need to explain your department's activities to your superiors in the technically correct language. Perhaps you need to decide between "in house" and "outside" testing. Text Material Instructor Steve Brenner has prepared a highly valuable 3-ring binder. On each of the 20 climatic test methods, Steve defines terms, provides such commentaries as “What can go wrong during this test?” He gives the purposes of that test, suggests products on which that test is appropriate and identifies the service environment being simulated. He explains what weaknesses that test can reveal. He identifies what is being controlled during that test and how that control is effected. He deals with the possibility of accelerating that test. Random Vibration & Shock Test BookEach participant also receives a copy of Wayne Tustin's text 'A minimal-mathematics Introduction to the Fundamentals of Random Vibration and Shock Testing, HALT, ESS & HASS, also Measurements, Analysis & Calibration'. The text includes a CD containing a number of video clips pertaining to sine and random vibration and shock behavior and testing. 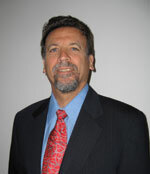 Steve Brenner has been working in the field of environmental simulation and reliability testing for over 30 years. Commencing about 14 years ago, he became an independent consultant, and is one of ERI’s most sought-after teachers of short courses. His “hot subject” right now is MIL-STD-810G. 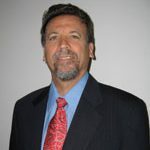 Beginning in the late sixties with reliability and design verification testing on the Lunar Module, the Space Shuttle in the eighties, to semiconductor manufacturing equipment in the nineties, Mr. Brenner has always been involved with the latest techniques for verifying equipment integrity through testing. Mr. Brenner began his career as an Environmental test engineer with Grumman Aerospace Corporation in New York, worked as design verification and reliability engineer for the Air Force, an Environmental Test Engineer for Lockheed Missiles and Space company, and spent 18 years with Kaiser Electronics in San Jose, where he managed the Environmental Test Lab and was involved with the design of hardware intended for severe environments. Mr. Brenner's experience includes the entire range of climatic and dynamic testing, including HALT, HASS and long term reliability testing. He teaches several ERI courses each year, USA and abroad. In 2006 he and Wayne Tustin co-authored "Where to place the vibration test control accelerometer? ", which is available upon request.